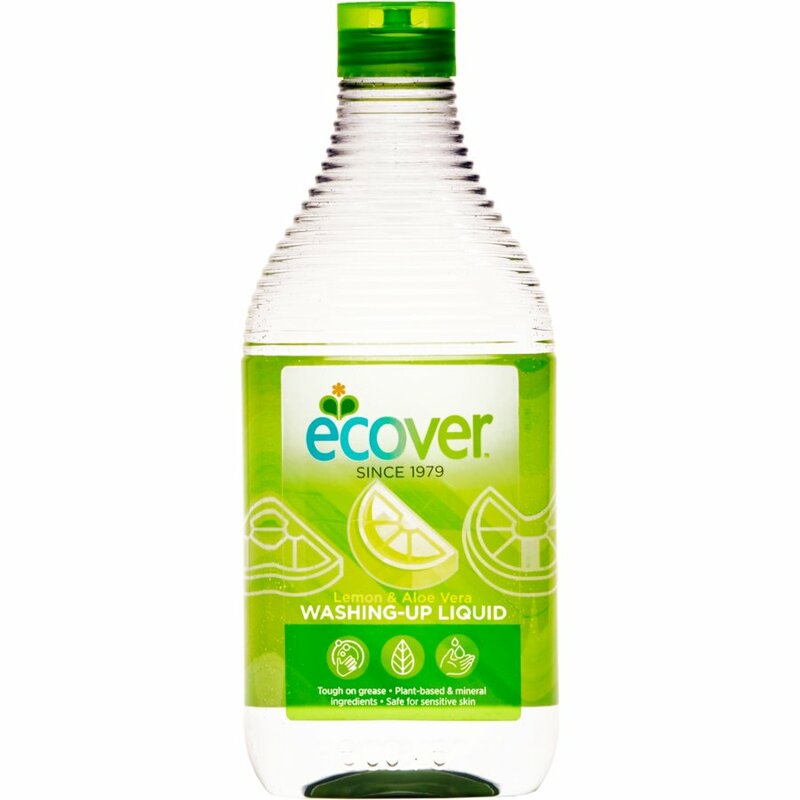 Ecover's Lemon & Aloe Vera Washing Up Liquid cleans and degreases efficiently using the power of nature and leaves no residue of unnecessary chemicals left on your dishes. Due to its plant based ingredients it is kind to your hands and has the minimum impact on aquatic life. The entire product, including the packaging has the optimum level of biodegradability which far exceeds all legislative requirements. The new look bottle is made from 100% recycled and recyclable plastic. There are currently no questions to display about Ecover Washing Up Liquid - Lemon & Aloe Vera - 450ml.